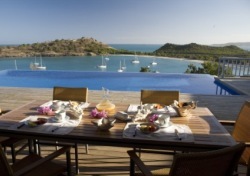 Antigua Villa rentals: Sea View Heights Ltd.
Sea View Heights features a collection of privately owned luxury villas in Antigua. As a proud member of the Antigua Tourist Association, we are dedicated to offer you the most comfortable accommodations and dedicated services to enhance your stay in the beautiful Caribbean island of Antigua. Based in Antigua, we are specialized in the rental of vacation villas located in Galley Bay Heights, Jolly Harbour, The Peninsula, Long Bay, English Harbour, Emerald Cove and NonSuch Bay. We aim to guarantee you a perfect and relaxing Caribbean holiday, stress free and filled with both pleasant and exciting activities. We realize that a perfect holiday needs an equally perfect villa, location, and contact person during your Caribbean vacation. We only work with the best villas that Antigua has to offer: spacious bedrooms, elegant furnishing, fully furnished kitchen, extensive outdoor areas to enjoy the pleasant Caribbean weather. 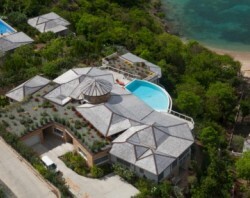 All the villas are located in fabulous locations which offer breath taking views of the sea, are quiet and secure. Upon confirming your reservation we encourage you to inform us of any special needs or services you may require that will help us make your stay on the island both an enjoyable and comfortable one. Give us a call today at 1-268-462-6266 to book your next vacation in Antigua. OUR RENTAL RATES – The rental rates of each villa have been provided directly by its owners. We do not add any commission or booking fee on the rental rates. Sea View Heights’s partnerships with New System Ltd., an Antiguan based building company that specializes in Luxury Residential Tourist Resorts and Prestigious Villas, allowed us to offer complete luxury real estate opportunities for investors. Our major projects include the renowned Galley Bay Heights, on the west coast of the island, and the new development of Windward Estates, on the south-east coast of Antigua. If you are looking to purchase a luxury villa in Antigua, or interested to create your unique dream home, we are here to guarantee that your dreams come true. For more info contact us at info@antiguaholidayvillas.com.